Mr & Mrs Allen decided to demolish and rebuild on their site. 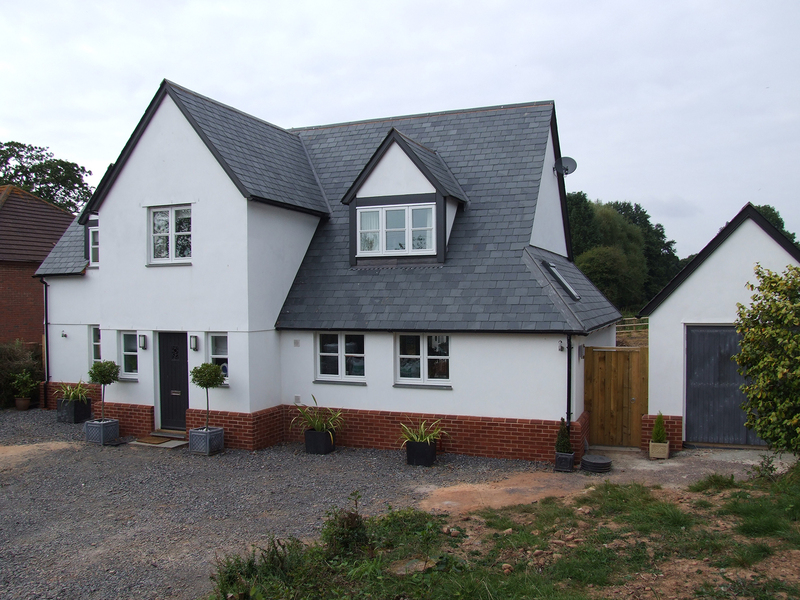 They wanted a larger, more modern and energy eﬃcient property to allow their family room to grow and chose timber frame as it was a quick route to a watertight house. They had no previous experience of self-build. The house was watertight within four weeks despite having to dig down six feet across the site to achieve the necessary ridge height. During the demolition a survey revealed the possible presence of bats. The ideal solution was to revert to a traditional truss roof to accommodate the bats but this was not possible. It was necessary to work with the architect and environmental agencies to develop the compromise solution to build a garage with a truss roof which had to include bat boxes and heat mats! Liaison with architect, planning and environmental representatives and contractors. Development and management of project plan, ﬁnancial model and build speciﬁcation. Identiﬁcation of appropriate subcontractors and management of tender process. Contract writing and administration. Site supervision. Material sourcing. Development of on-site technical solutions as necessary. Testimonial: ‘Sean’s advice and level headed approach was indispensable. Without him I would not have had the will to complete the project.’ Leah Allen – Owner.